Every four years, we get to see the best athletes in the world compete in the Summer Olympics. For many young people, seeing Allison Felix and Galen Rupp compete with the best and stand on the podium, leaves a lasting impression that transcends down to the youth level through the Junior Olympics (JO). The entire JO experience is a marvelous event with many people contributing to make this final meet of the season a celebration of the best of the best. To make it to this meet is a dream many envision but few experience. 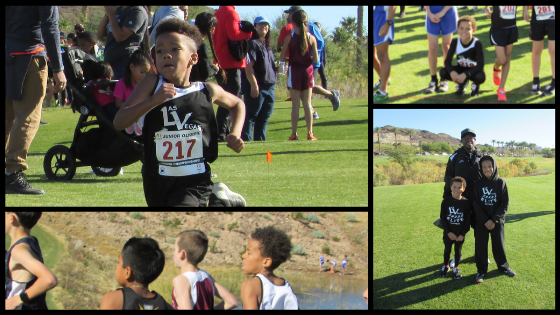 For the top five teams and the top thirty runners, this dream will become a reality as the Region 15 Cross Country Championships brought together athletes from Southern Nevada and Central California on Sunday, November 18th, 2018 at the Lake Las Vegas Golf Center. 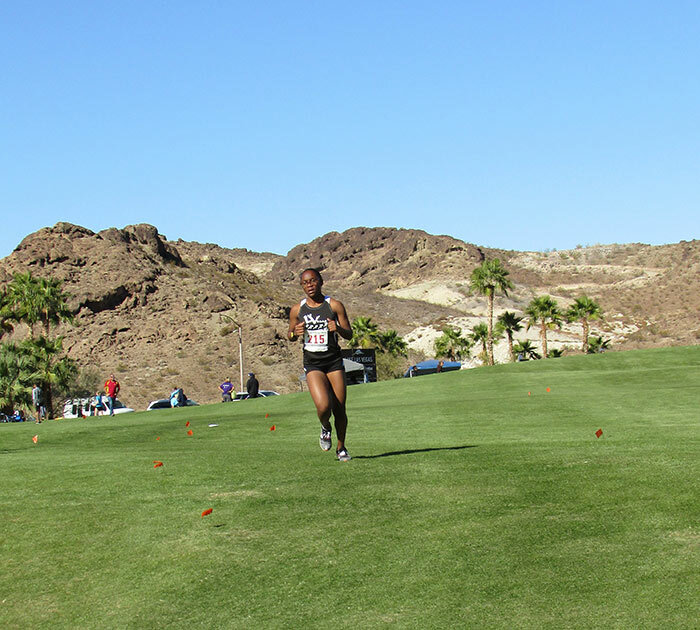 It was the perfect setting for a cross country meet with the descent to the finish line highlighted by a view of beautiful Lake Las Vegas, back dropped by the Las Vegas Strip and the Stratosphere Tower. The races were a treat as Region 15 athletes did not disappoint, once again posting some of the very best times in the country. 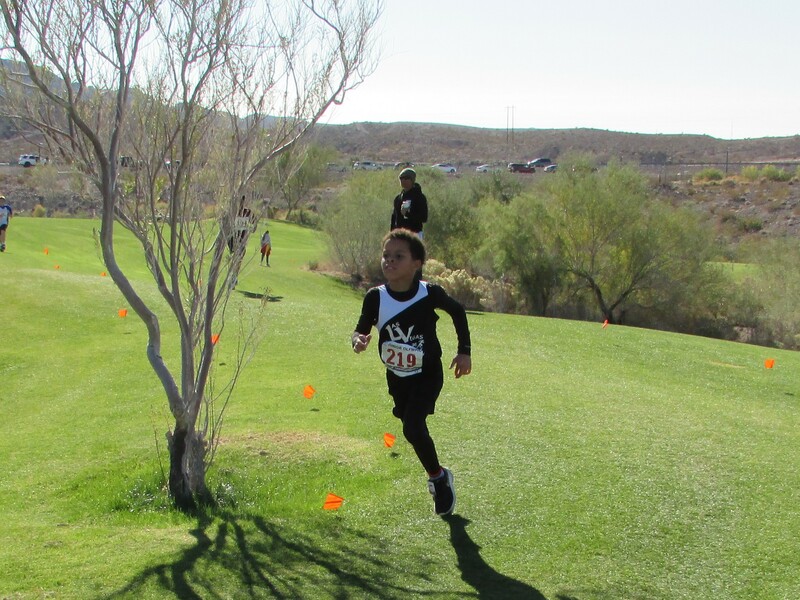 It was amazing watching young athletes like Balen Wade and Yasmin Lopez burn through the course like it was nothing. Their impressive runs left an everlasting impression on our runners, as many have never seen this sustained high level of running before. Gowdy, Jordan Lewis, Masen Mitchell, Jeramiah Davis and Kaiyah Davis-Mitchell. They never gave up on their workouts even when there were days when it was a grind. 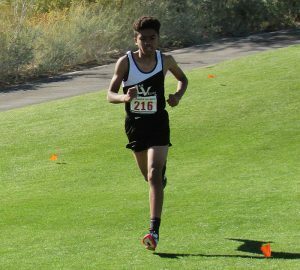 The mental toughness, perseverance and the ability to remain positive through the ups and downs of a cross country season are traits each of them displayed and can lean on in the future. 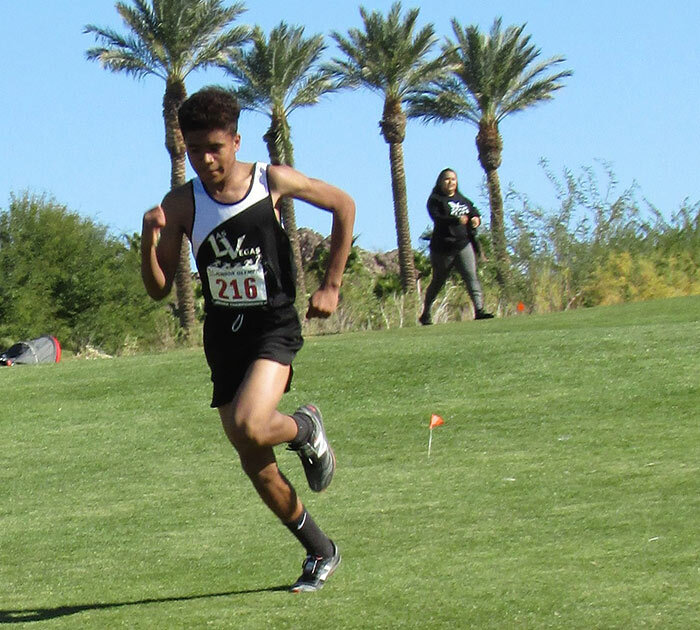 Jordan Gowdy had an outstanding first season as a cross country runner. He is an outstanding young man that never complains. In his own quiet way, he always gives his best. 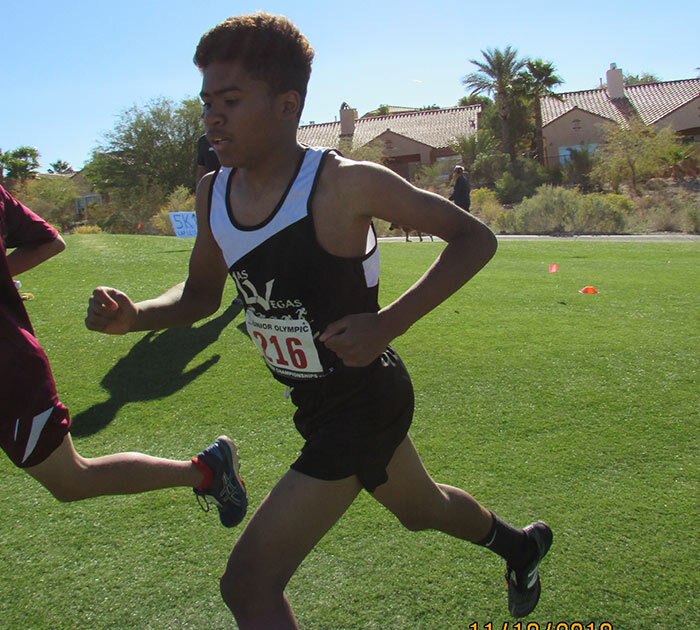 On Sunday he went out with the top six runners, who set a blistering pace over the first 800 meters. He stayed with them as long as he could, but the rolling hills and jostling in the pack took its toll as he fell off the pace. Midway through the final lap Jordan was able to regather himself and finish strong, passing several runners in the final 400 meters to finish in 9:22. While this was short of his expectations and PR, outstanding results lie ahead for Jordan as we all look towards track and future cross-country seasons. After being sick for close to three weeks, no one knew what to expect from Jordan Lewis. What we did know was that he was feeling much better and it showed as he established an initial position in the middle of the pack. As the race progressed, Jordan’s facial expressions changed from tired and determined to relief as he stayed focused and often used the down hills to his advantage. What was impressive was the way he ran the final hill during the last mile of the race. He had enough left to attack the hill and surge through the downhill and gradually pass runners in his group. Jordan’s previous PR was 13:30, so we were expecting him to finish around 13:00 minutes but to everyone’s delight Jordan rounded the final corner in 12:35 and finished in 12:45, a new PR! Even though Masen started cross country late into the season due to flag football, he has made steady improvement and has always stayed within himself no matter the circumstance. On race day he was his usual calm self. This is something I personally admire about him. The setting or occasion never seems too big for him as he ran a very steady race, covering the 3K course in a personal best of 13:18! His determination and willingness to work hard is truly a coach’s dream. 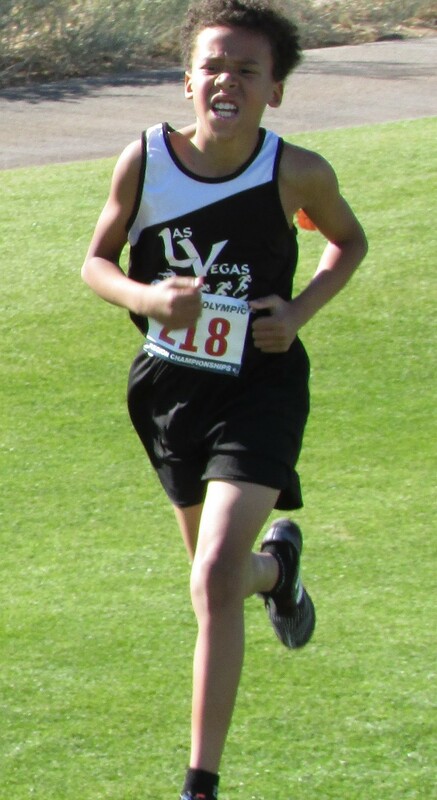 While he has many talents and interest, which at this age he should, I hope he never gives up running because he is talented and has the perfect attitude. Running at this level was a first-time experience for Jeramiah Davis. As we waited for his race, he gathered with his coaches and admired other top athletes drop amazing times. It was great seeing his excitement as he took in how the top runners ran, breaking down everything from their running mechanics to where they broke away from the competition. While all was well, things took an unexpected turn at the start of the race as Jeramiah and two other runners became entangled and fell leaving them far behind the other runners. This was a tough position to be in and it certainly was a challenge for Jeramiah, but he got through the race in 18:58 and didn’t quit. Cross country running is fun but it’s often a mental test. Some days are grueling and challenging as you deal with not only the elements but also your body. 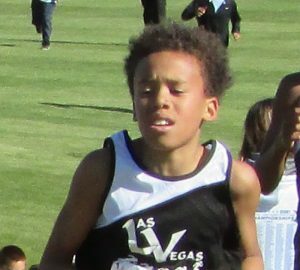 For Jeramiah this was a valuable learning experience that will make him better not only as a runner but also as a person. When we did the walk thru on Saturday, all I remember Kaiyah Davis-Mitchell focusing on was the three laps around the course LOL. The girls 5K race was the next to last race of the day, so for Kaiyah it was a long day. As her race approached, she appeared to be very loose and ready to run. I guess the three laps didn’t matter anymore. 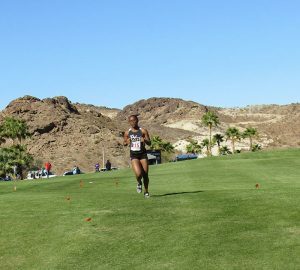 This was a good sign because Kaiyah found a good pace. As the race went on, she used the down hills more and more to pass runners and gain momentum. I was especially impressed with the way she ran the highest hill three times and finish the last 200 meters with a strong kick finishing 17th and qualifying for the JO Championships!!!! We couldn’t be prouder of her because we know XC isn’t her first love or strength. 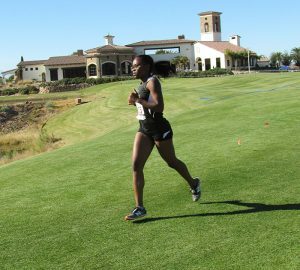 She didn’t have the top time of the day, but she had determination and heart, which embodies what we want in Las Vegas Elite Runner athletes. 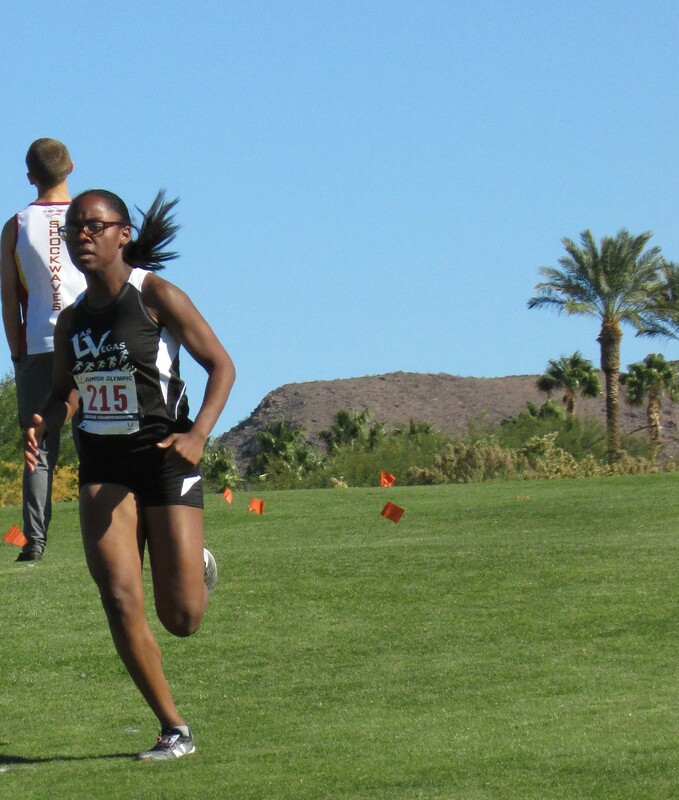 Making it to JO’s was fitting after Kaiyah missed the Nevada State NIAA 3A XC Championships by one place. I guess for those that persevere, dreams do come true. We’re proud of you Kaiyah… have a great time in Reno!!! !